Χάρη στην ποιοτική διαμονή και την άριστη εξυπηρέτηση του Novotel Xian Scpg, στην επίσκεψή σας σε Xian θα νιώσετε σαν στο σπίτι σας. Το κέντρο της πόλης είναι μόνο 10 KM μακριά και μπορείτε να φτάσετε στο αεροδρόμιο μέσα σε 40 λεπτά. Από τη βολική της τοποθεσία, η ιδιοκτησία προσφέρει εύκολη πρόσβαση σε κορυφαίους προορισμούς της πόλης. Επωφεληθείτε από ένα πλήθος ασυναγώνιστων υπηρεσιών και ανέσεων σε αυτό το ξενοδοχείο της Xian. Για να ονομάσουμε μόνο λίγες από τις εγκαταστάσεις του ξενοδοχείου, υπάρχουν τα 24ωρη φύλαξη, δωρεάν WiFi σε όλα τα δωμάτια, υπηρεσία ταξί, ημερήσιος καθαρισμός, ταχυδρομική υπηρεσία. 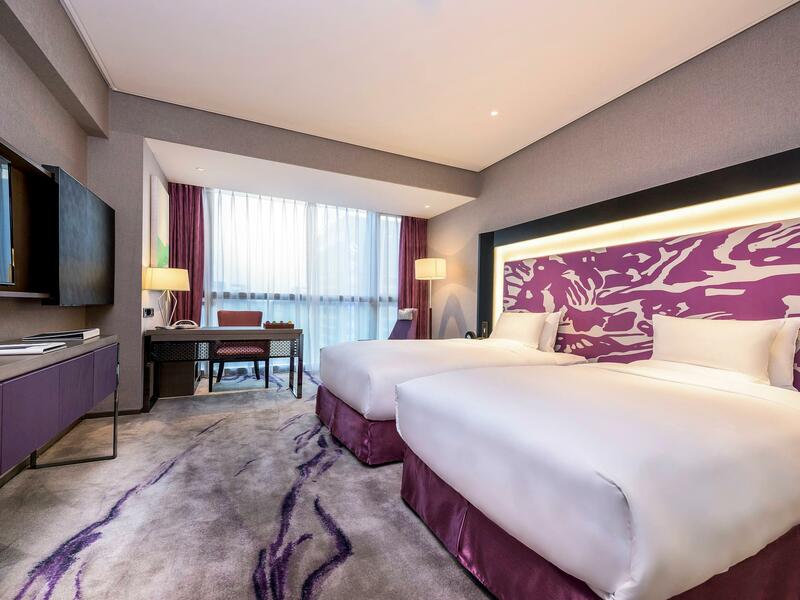 Η ατμόσφαιρα του Novotel Xian Scpg αντανακλάται σε κάθε δωμάτιο. Στην ιδιοκτησία θα βρείτε επίπεδη τηλεόραση, τηλέφωνο μπάνιου, μοκέτα, κρεμάστρα ρούχων, δωρεάν καφές φίλτρου, καθώς και πολλά άλλα. Εξάλλου, το ξενοδοχείο διοργανώνει πολλά ψυχαγωγικά δρώμενα έτσι ώστε να έχετε πολλά πράγματα να κάνετε κατά τη διαμονή σας. Όταν ψάχνετε για ένα άνετο και βολικό μέρος για να μείνετε στη Xian,το Novotel Xian Scpg γίνεται το σπίτι σας μακριά από το σπίτι σας. We stayed here for 3 nights and had a great time. The hotel was really new so it’s well equipped and clean. It’s situated right beside a mall so there’s everything you’ll need. 5mins walk from nearest metro and 15mins by train to downtown bell tower station. Highly recommended! Spacious, Clean, Good location (MRT is just about 100 away), main MRT line to most tourist spot. The hotel is quite new. I have stayed in other local China 4-5 star hotel but doesn't look like 4-5 star. Hotel is just about 5min walk from nearest subway station; right next door is InCity Shopping Centre and there are cafes on both sides of the hotel entrance. Though hotel reception is on the 8th floor, there is concierge and rest area with sofas on the ground level to make you feel welcomed. Reception and concierge staff speak and understand English very well, and are very friendly and helpful. I enjoyed my stay there very much. I will definitely stay there again. CLEAN, NEW AND CONVENIENT . JUST NEXT TO A BIG MALL. 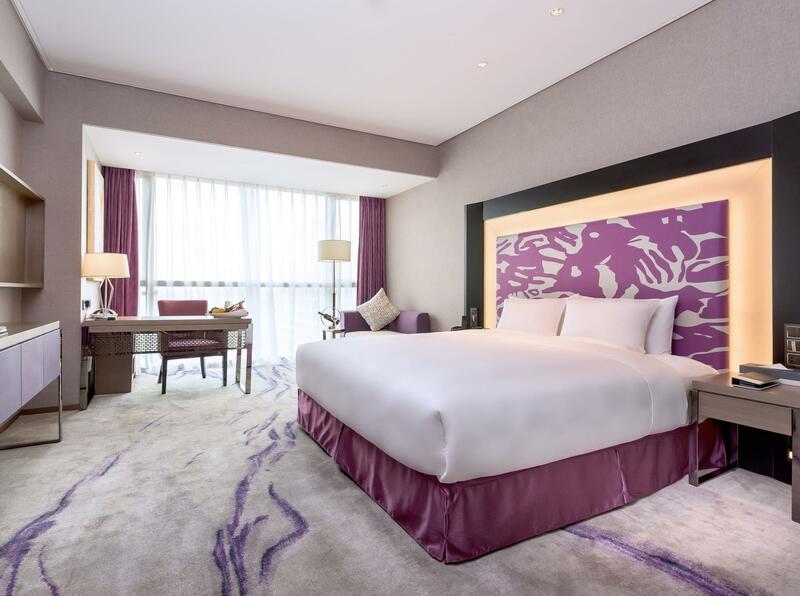 Dear guest, thank you very much for choosing Novotel Xi＇an SCPG, and for taking your valuable time to share your experience. 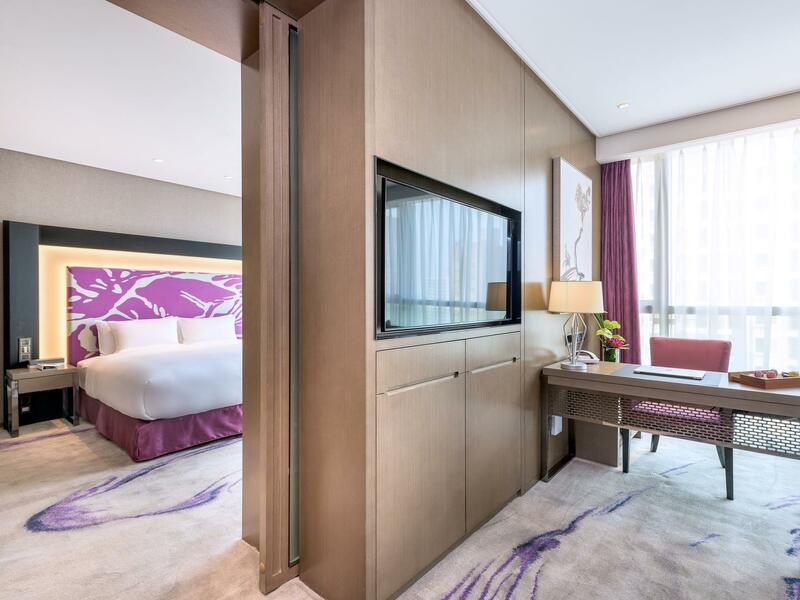 Thank you again for your evaluation and your commitment to our brand ,we will share your comments to Novotel Xinqiao as well .We sincerely look forward to your visit again Novotel Xi＇an SCPGl! I wish you everything goes well! Pros - newer hotel Away from the busy centre Very close to subway (best way to travel) Great bfast Clean Awesome slippers :) Cons - Staff needs imorovement on english there are only a few that know how to speak and understand - air conditioning not working (they opened up the windows. People have said it's a xian city law but we stayed at another hotel and ac worked perfect Overall grt stay with a good breakfast and conveniently located for the metro. It is easy to grab a cab there. If not there is a metro station within 5mins walk. shopping area are all surrounding the hotel. and the hotel itself is build on a shopping mall too. But one bad thing about the hotel is that their Wifi is really bad. Basically it cannot load anything. 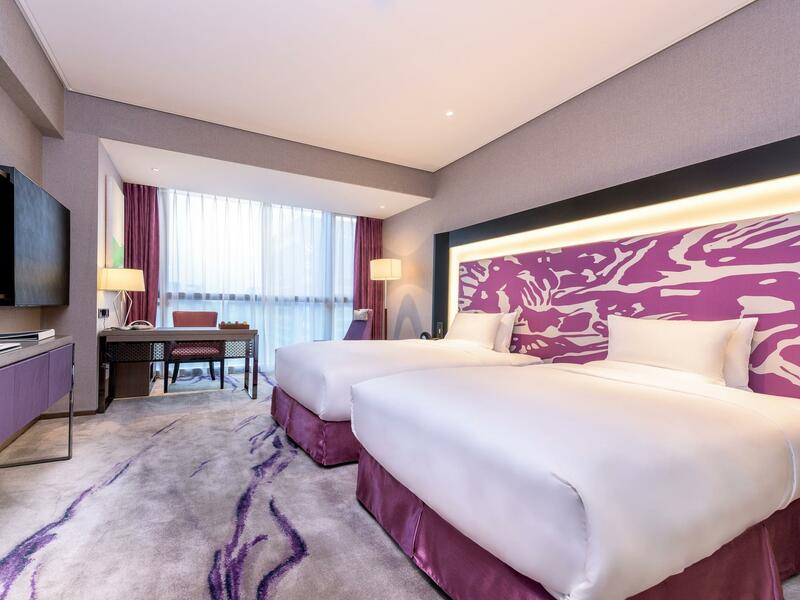 It is good location (near Longshouyuan mrt station and shopping plaza). Full facilities (also have toothbrushes and toothpaste) and clean. Large and non smoking room. Staffs are friendly and helpful. They are really quite hotel. Breakfast has variety foods. Anyway some foods are too salty. Good services by staffs especially Mr.Oscar and cleaner Miss 张玉英. We had a pleasant stay. Perfect location. Two malls are nearby and the metro route 2 is just a block away. Dear Guest ,Thanks for sharing your feedback. We will pass your comments to our entire team. Be assured that your feedback will encourage us to strive even more for continuously improving our quality and service. We hope to welcome you again soon and wish you everything goes well! Good location , clean and new hotel. Beside the hotel is a shopping mall and train station with 3 minute walking distance. Stayed for 3 nights between 02Dec to 05Dec. Really impressed by the interiors of the hotel and the room. Pretty big shopping mall attached to the side and back of the hotel as well. Staff were friendly but had abit of problem conversing in English although it must be said that they make a honest and pretty good effort to do so! Breakfast was pretty good as well, standard fare to expect at any hotel buffet spread. Comfy beds and classy decor wins it for me as I was down with a bad cold and had to stay in for quite a significant part of my stay. 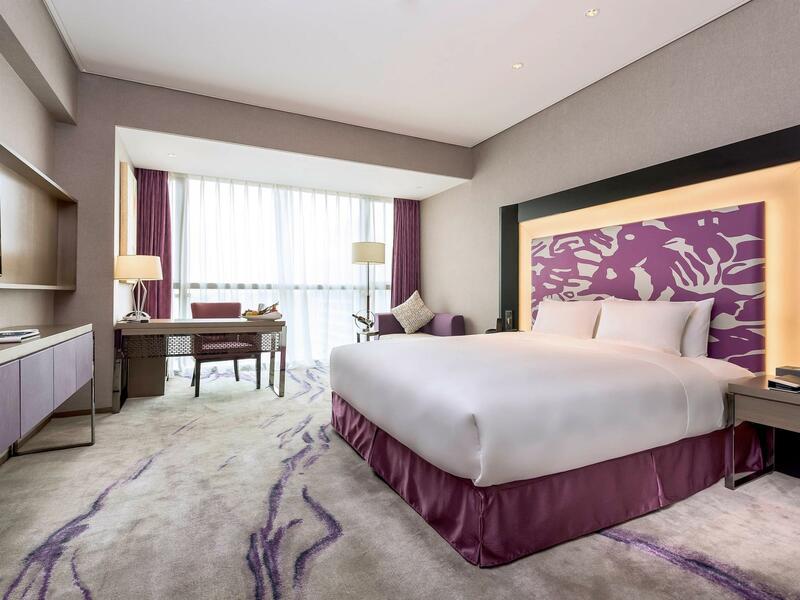 Dear guest, thank you very much for choosing Novotel Xi＇an SCPG, and for taking your valuable time to share your experience. 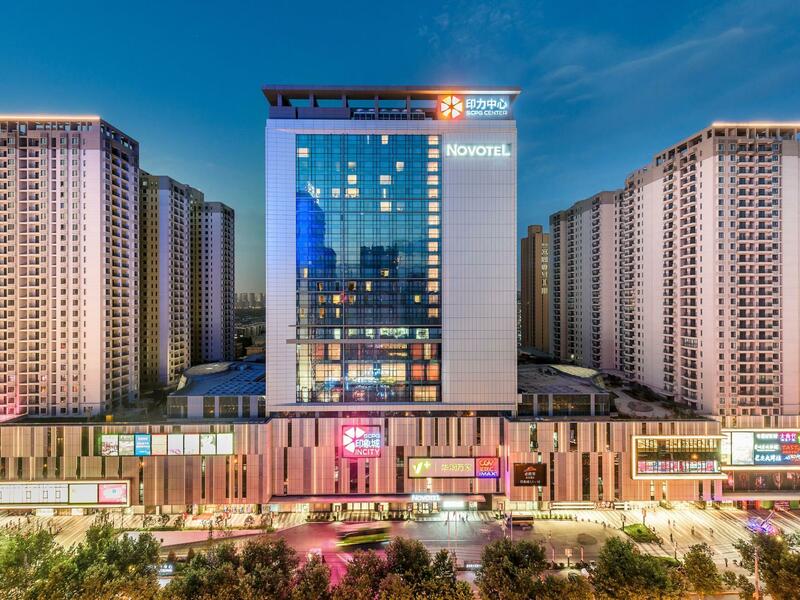 Thank you again for your evaluation and your commitment to our team.We sincerely look forward to your visit again Novotel Xi＇an SCPGl! I wish you everything goes well! This is a fairly new hotel , with great interior and great location ( just beside the subway). It is much better , cleaner and newer than the rusty Novotel in Beijing! There are many eatery around the hotel. Hotel concierge Mr Ronnie Che was very patient & helpful in helping us to plan our 2days in Xian. Hotel staffs are helpful. There are shopping Malls next to hotel where is very convenient. Location is good. The room is newly furnished and clean. However, the lobby is located at Lvl 8 which make it hard to arrange for tour pick-ups. Thanks for sharing your feedback. We will pass your comments to our entire team. Be assured that your feedback will encourage us to strive even more for continuously improving our quality and service. We hope to welcome you again soon and wish you everything goes well. this is my return trip to the hotel. As usual, Wifi did not improve at all, but overall the location is good, room is clean. Σταθμός Μετρό Longshouyuan στα 0.15 χλμ.